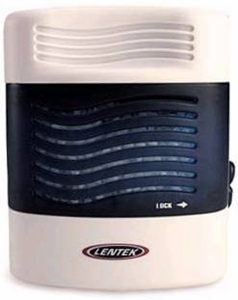 Protect your entire family from disease-carrying mosquitoes with the Lentek Bite Shield Biting Insect Repellent. We have a vast collection of Eco friendly Mosquito control products for Indoor and outdoor control of mosquitoes and other harmful Biting Insects. Bite Shield is a proven Biting Insect Repellent to protect you and your loved ones from annoying and harmful insects. Now you can control deadly viral diseases carried by mosquitoes and other biting insects with the Bite Shield without harmful pesticides. This portable, lightweight Biting Insect Repeller produces pleasant fragrance that Biting Insects hate. The repellent cartridge contains beads made with a naturally occurring essential oil called Geraniol. It has a fan that quietly distributes the scented repellant to give you an umbrella of protection. No harmful chemicals or sprays on your skin! It's also safe for kids and pets. Your Bite Shield comes with two repellent cartridges, each lasts for up to 72 hours of continuous use. Just slide one of the replaceable repellent cartridges onto the Bite Shield and turn on the battery-operated unit. The Bite Shield tested and developed by a major Florida University. Tell biting insects to "STAY AWAY" with Bite Shield. Enjoy your leisure time knowing your family and loved ones are protected from Mosquito and other Biting Insects. No messy injurious sprays or creams required. Up to 15 ft. radius of coverage outdoors and 2000sq. ft. indoor. Operates on two "AA" batteries (not included). Perfect for any outdoor activity. Each cartridge offers over 120 hours of use or up to 72 hours constant use. Bite Shield Refill The aromatic Bite Shield Refill comes with two cartridges. Each cartridge offers 120 hours of alternate use or 72 hours of continuous use to give you the protection any time you want.